I have not always been a celery fan but I am now! 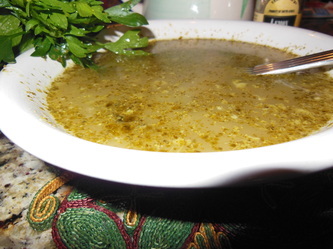 It is so clean to the taste and with the celery pistou on top, YUM. 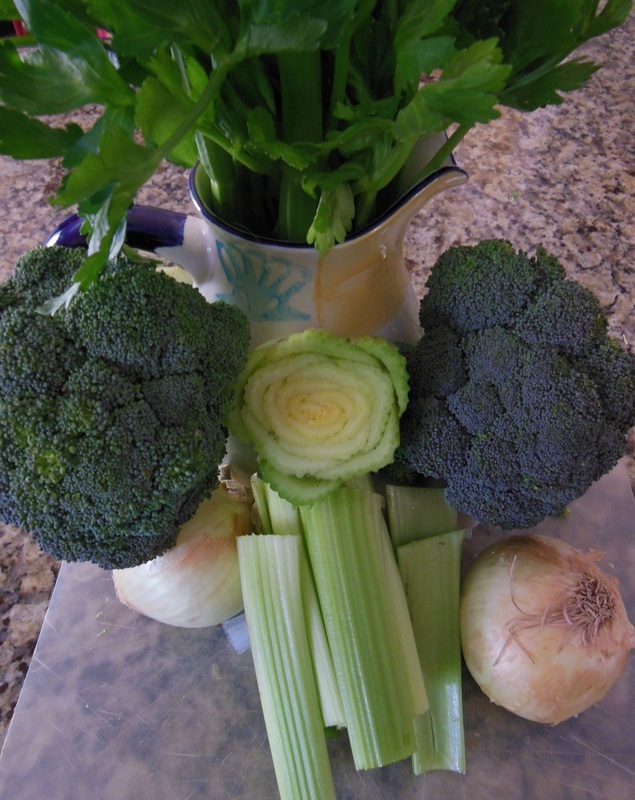 CELERY is in the same family as parsley, fennel, dill and carrots. 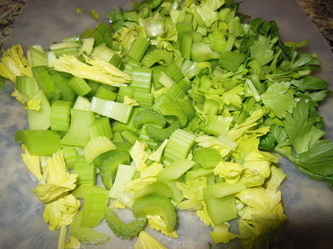 It is high in fiber and rich in Vitamins A, B,C and K. Don't skip on chopping the leaves at the crown into your recipes.. 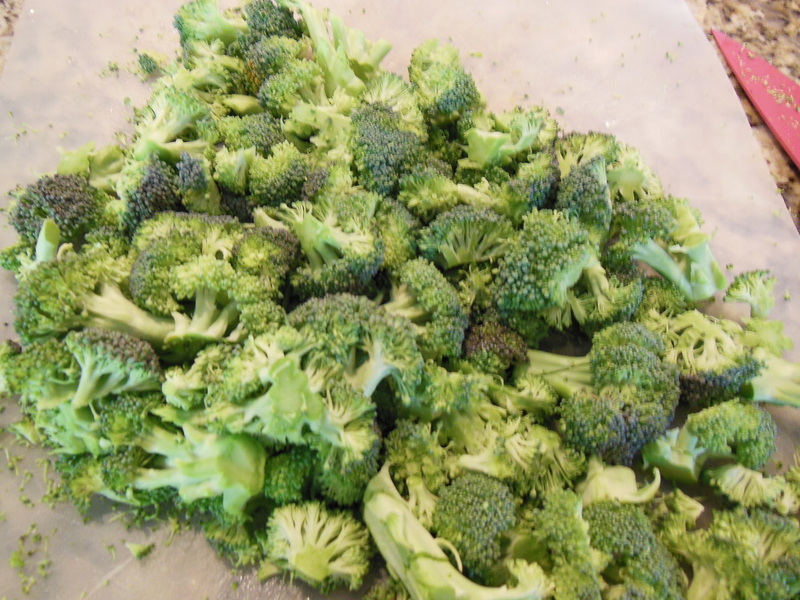 It is flavorful and good for you. 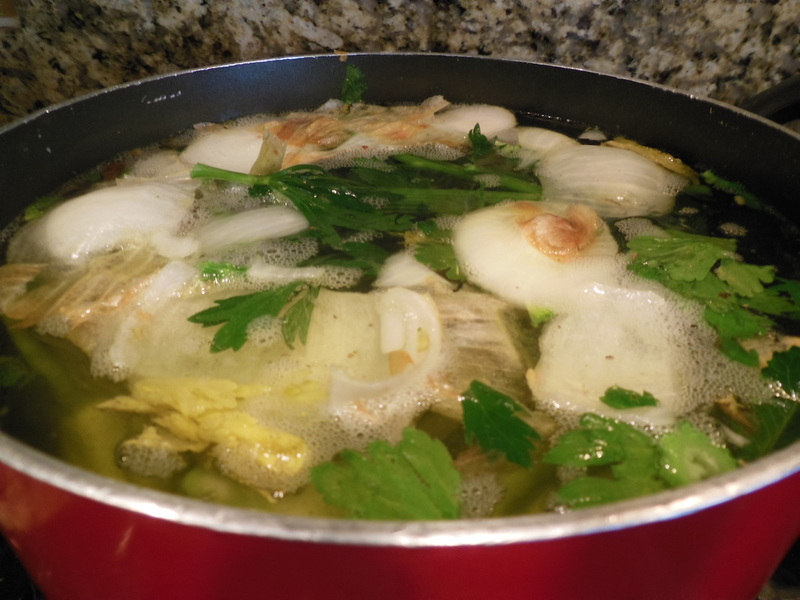 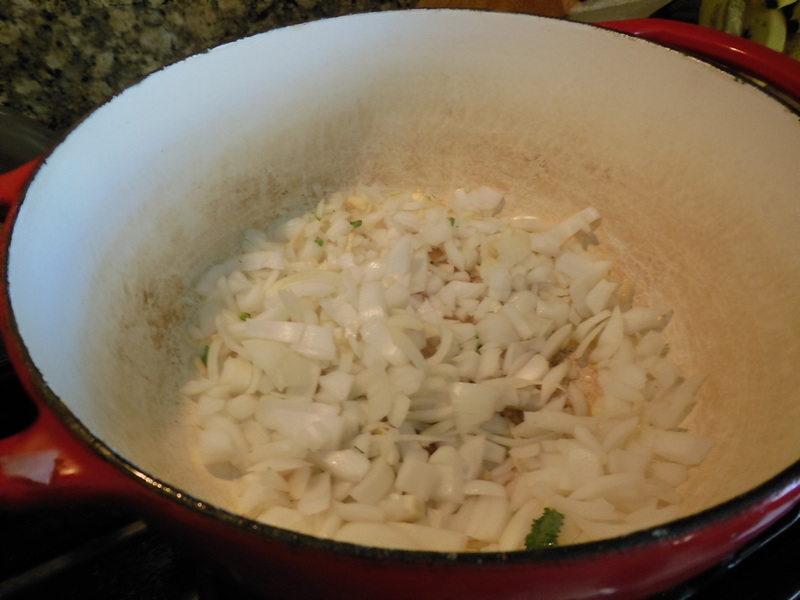 I have used all of the celery stalks in this soup. 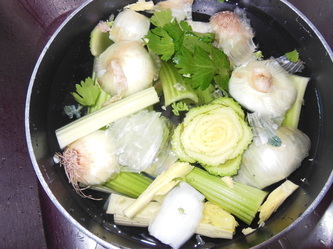 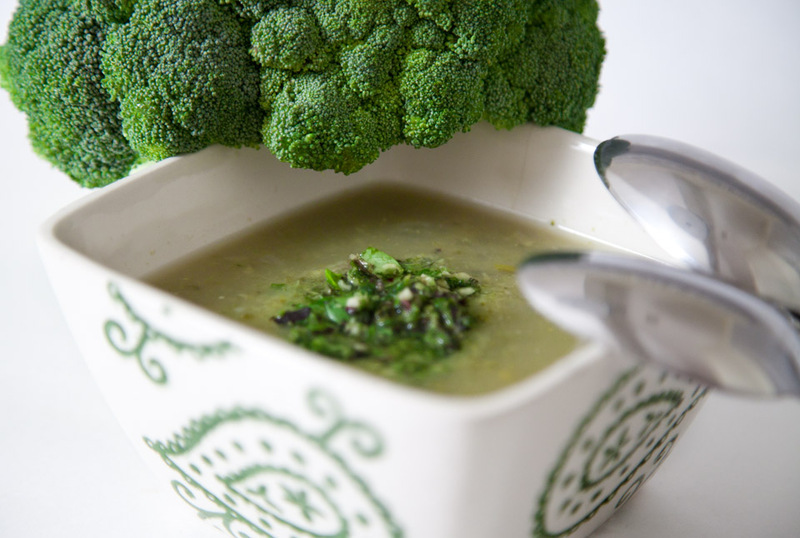 I hope you enjoy this new CELERY soup. 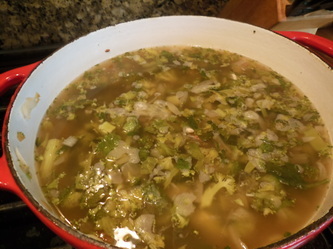 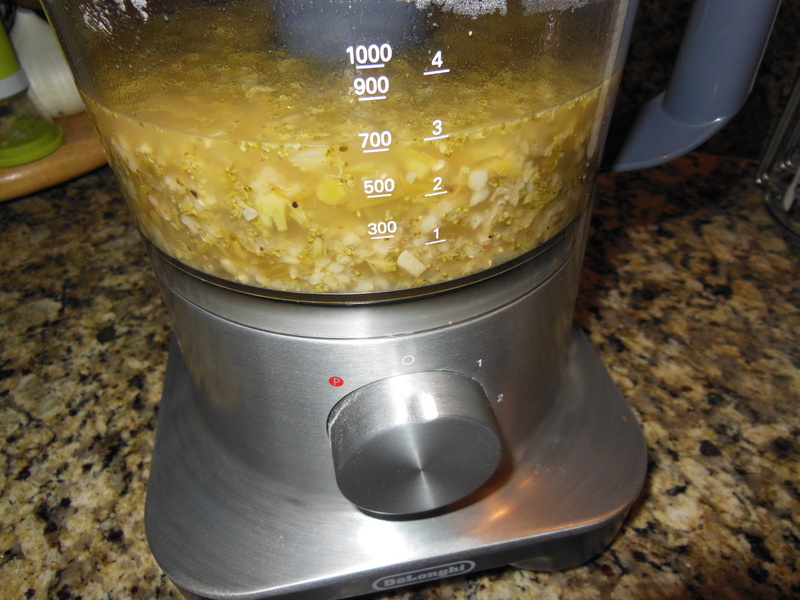 6 cups vegetable broth (I made mine from my celery, broccoli, onion and garlic discards in separate pot covered with water.